a first time visit to our feeder. Great close up. I agree. The name doesn't match the bird. Beautiful close up and detail. Really nice capture. Wish I could catch birds this nice. How exciting to have him visit for the first time. Great capture Bruni. Well captured, Bruni. He is beautiful. Great shot of the woodpeckers. I was told woodpeckers eat insects out of trees. Do yours eat seeds ? 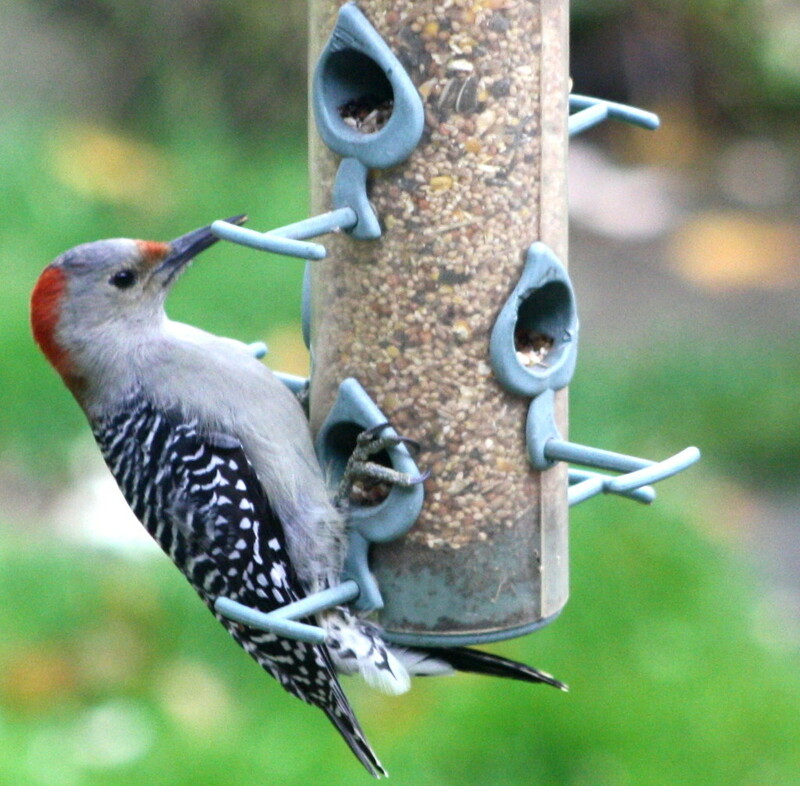 @pyrrhula They eat both- seeds from feeders and insects off/in the trees. They particularly love suet feeders too! The Red Bellied does have a faint tinge of red on its breast (might be more visible on the male than the female) but you can see it when the sun hits it the right way. I'm not sure why they didn't call this bird the Red Capped Woodpecker but if you've ever seen the bird that's called the Red-Headed Woodpecker, you'd know why it didn't get that name! Great shot Bruni! @olivetreeann I see what you mean. just googled the it and would I ever love to see one in nature. @pyrrhula In the colder weather like right now and in the winter month most birds prefer the seeds. maybe with the cooler weather there're not that many insects around. we stopped feeding the birds during summer this time for the first time and just filled the feeders recently.